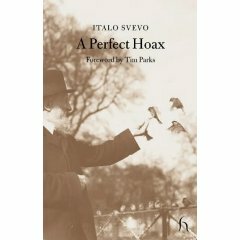 Another great book by Svevo. I am not sure if this counts as one of his novels because it is quite short. It was written after Zeno I believe and it is different to what had written previously. It is still concerned with provincial life and creativity within this state but you empathise more completely with the main character for a change. The little parables the old writer creates are amusing and worthwhile and while there is an ironic touch from the narrator it doesn’t get in the way. I also liked the article at the end written by someone who worked in a bookshop Svevo used to frequent. Apparently when Svevo was on his deathbed and he knew he was dying on the day after his car accident he asked for a last cigarette (something his character Zeno and Svevo himself was always proclaiming – which it never was). When this was denied he said that obviously he had really had his last cigarette. He then went on to say (while smiling) that dying is actually very easy, much easier that writing a novel you know.